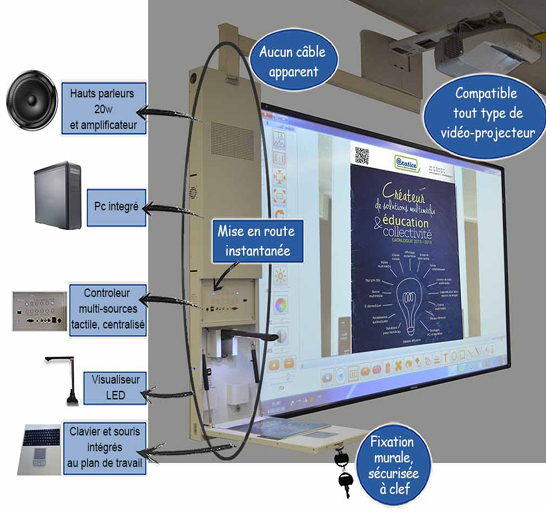 The teacher, the presenter or the lecturer must often connect a complete battery of tools to be able to ensure his presentation or his lesson in good conditions. This operation, without being complex, can quickly become painful because of the multiplication of cables and settings necessary to set up the whole. ? The ideal is to rid both the animator and the technical team of the weight of this installation, which will have to be repeated at each session, by centralizing the control of the different sources in one and the same console, quick to put implemented and simple to use. To solve this problem, ARATICE has developed the ARATECH multimedia controller. OPEN A DOBIZA ACCOUNT. Registration is free.